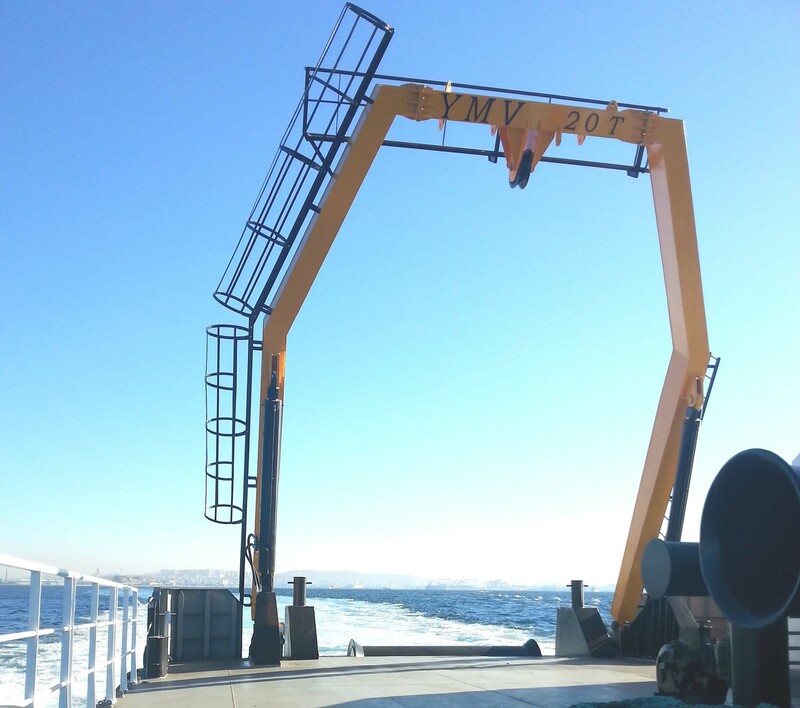 YMV Launch and Recovery Systems (LARS) A-Frame is the hydraulic driven crane system widely used on special purpose research vessels, supply vessels for oil platforms, oceonographic and deep sea research vessels. It is mainly used for safely lifting and lowering of special purpose research and rescue equipments, such as Side Scan Sonar, ROV launching and recovery mechanism. LARS system is composed of main parts: A-Frame Crane, Hydraulic Power Unit and Control Unit. LARS A-Frame provides controlled load lifting and lowering, thus safe positioning of equipment landing on deck and subsea. YMV designs and manufactures A-Frame Cranes 2,5-15 meter span and 1-250 t capacity suitable for customer project. Operation can be performed by side of the Crane by hydraulic lever or by joysticks on the bridge. Monitoring of load/tension, adjusting A-frame position for operation, overload alarm are optional.